We align our self with the position of the G77 and China and thank the panelists for their excellent presentations. We also express our appreciation to the Secretary-General for his Report on transportation, which will certainly play an important role for our deliberations Our gratitude also goesÂ to Bureau of CSD-19Â and the organizers of the nineteen-session of the Commission for Sustainable Development. After more than three decades of conflict, Afghanistan faces steep challenges in the construction and restoration of its transportation sector to promote economic development and improve the living standard of its people.Â Afghan transportation, particularly aviation, road, and rail, are central to reconstruction and peacebuilding efforts. Throughout the peacebuilding process and in consideration of both increased population growth and the continued development of urban and rural spaces, Afghanistanâ€™s transportation needs will greatly increase over the next few years.Â This growth necessitates the development of an increased infrastructure for transportation options. The impact of 30 years of conflict on Afghanistanâ€™s transportation infrastructure must not be taken lightly.Â Much of the countryâ€™s transportation infrastructure has been destroyed, leaving behind damaged roads and structures.Â Further, the turmoil has turned away international air carriers and other sectors from investing in or servicing Afghanistanâ€™s transportation needs. In this regard, Afghanistan faces a number of key challenges in the development of our transportation sector.Â These challenges include the legacy of destruction and deterioration that has resulted from prolonged conflict, insufficient and unreliable funding for the reconstruction and development of transportation systems, and a poorly developed consulting and contracting industry. 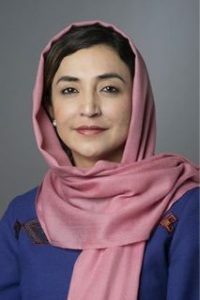 The government of the Islamic Republic of Afghanistanâ€™s strategic vision and goal for the transport sector is to have a safe, integrated transportation network that ensures connectivity and that enables low-cost and reliable movement of people and goods domestically as well as to and from foreign destinations. This will give impetus to economic growth and employment generation and help integrate Afghanistan into the global economy. A high priority is to have in place an efficient and viable road transportation network for achieving economic growth and poverty reduction, particularly in rural areas. 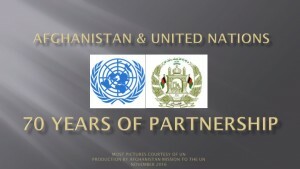 In addition, economic growth is a fundamental requirement for peacebuilding and stability in Afghanistan, which is only possible through the strategic development of the Afghan transportation sector.Â Currently, the government of Afghanistan is working to develop and complete a network of regional roads to connect to neighboring countries, the coordination of funding for the implementation of projects, quality control and the development of a sustained operation and maintenance of roads, organizational strengthening and capacity building of technical staff, and strengthening the role and relation of private sector in road construction and maintenance.Â In this pursuit, Afghanistan would greatly benefit from increased support from the international community including the transfer of technology and capacity building, especially in pursuit of sustainable transportation systems. Afghanistanâ€™s road network is comprised of 3442 km of regional highways, 4802 km of national highways, 9600 km of provincial roads and 17000 km of rural roads. The regional highways network largely consist of our ring road (Kabul â€“ Kandahar â€“Heart â€“Faryab Mazar-e-sharif â€“ Kabul) and the regional link roads which foster trade and economic linkages between Afghanistan and the neighboring countries of Iran, Pakistan, Tajikistan, Turkmenistan and Uzbekistan. National highways connect regional highways to provincial capitals. These roads are vital, as they provide trade and commerce linkages and contribution to stability and economic growth of the country. About 2989 km has been completed and 1813 km still remains to be built. Provincial roads connect district headquarters with respective provincial capitals, and cover 9600 km. So far, 9528 km of these roads have been constructed. Road network development and completion of our ring road and regional highways to connect Afghanistan with all our neighboring countries of Iran, Pakistan, Tajikistan, Turkmenistan and Uzbekistan. Design of the priority projects and coordinate funding from various donors for implementation of the projects. Quality control and development of a sustained operation and maintenance of the roads. Organization strengthening and capacity building of our technical staff. Strengthening the role of the private sector in road construction and maintenance. Our ministry of public works has prepared a Road Sector Strategy which is cost USD 5.2 billion. This strategy envisions increasing the regional highways, national highways and provincial roads to 9000 km. mean while a special focus will give to quality control, institutional capacity development and maintenance of the roads. 75 km railway which links Hiratan to Mazar-e-sharif 95% construction has been completed. Contract between government of Afghanistan and Chinese Company contracted the Aynak cooper mine has been signed to conduct the feasibility study of an estimated 930 km railway line linking central Asian countries with south Asian countries. The Afghan government is also striving to build trade facilities and infrastructure in order to foster regional trade and economic linkages between Afghanistan and neighboring countries of Iran, Pakistan, Tajikistan, Turkmenistan and Uzbekistan. The government of Afghanistan has now established modernized custom facilities to mentioned neighbor countries. In addition, significant progress has been made toward the simplification and harmonization of laws and regulation regarding transportation and trade.Â Particularly, 27 customs procedures have been simplified and streamlined in order to facilitate trade. There are 47 airports. Approximately 10 of these have paved runways. * Kabul International Airport (3500 m runway) is the nation’s largest airport and the primary hub for international civilian flights. * Kandahar International Airport (3200 m runway) is a dual-use airport serving southern Afghanistan. * Mazari Sharif Airport (3100 m runway) is a dual-use airport serving the northern and central portions of the country. * Herat Airport (2600 m runway) is the primary civil airport for the western portion of the country. Afghanistanâ€™s government priorities include the upgrading of Kabul Airport to an international airport that meets ICAO standards along with the upgrading of Herat, Mazari Sharif and Jalalabad airports to international standards. We are trying to create an enabling environment for investment in Afghanistanâ€™s transportation sector. Our national road and railway programs have been precisely designed to contribute to regional connectivity. The completion of various segments of railways in Afghanistan, which are under different phases of feasibility study, design and construction, will have a crucial role in strengthening cooperation and connectivity.